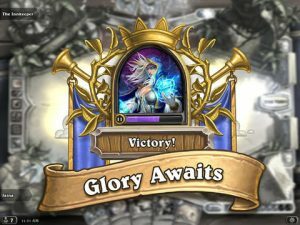 HearthStone is now out of Beta and is making its way to mobile platforms. The free to play collectible card game based on the popular massively multiplayer online game, World of Warcraft has officially ended its Beta period on the PC and Mac. Now that the developers have been able to flesh out some of the games technical issues through their Beta period, they have now started on releasing the game on mobile platforms. 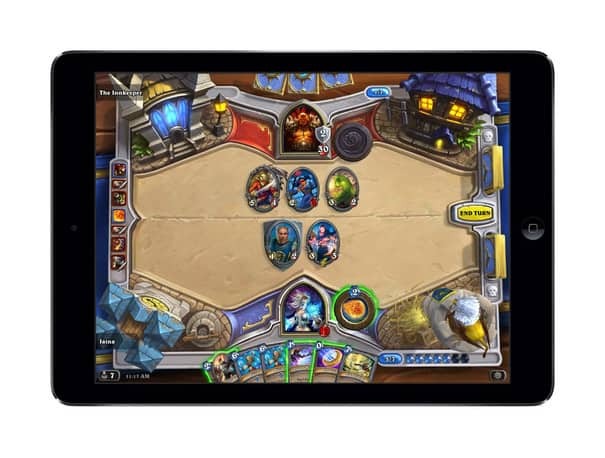 Currently HearthStone is available to download for iPad now, which is compatible with iPad 2, 3, 4, iPad Air, and iPad Mini’s. The game is set to also release on Windows 8 tablets, Android devices, and iOS phones later this year. 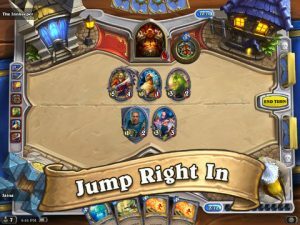 One of the most exciting thing about HearthStone being played across multiple platforms, is that it’s truly cross-platform compatible. That means that you’ll be able to challenge your friends who play on PC, while you play on your mobile device. This feature has become more common especially in the card game genre, with games like Might & Magic Duels of Champions giving players that same cross-platform option. We can only hope to see more genre’s start to take note of this and let us band and fight together across multiple platforms. HearthStone has been very successful regardless of its recent release date. The player base has already grown more than 10 million accounts registering between Windows and Mac versions of the game and that number will only grow the more accessible it becomes on other platforms. It’s certainly no wonder the game is such a success, other than the fact its based on one of the most popular online games of all time, it also sports an excellent free-to-play environment that allows all players to remain competitive whether they dump cash into the cash shop or not. So far the game seems to have been implemented perfectly to the iPad and will no doubt work just as well on other devices. Anyone who played the PC or Mac Beta could have easily determined that this game was designed with mobile devices in mind. The graphics provide rich and bright color schemes, with some small 3D animated touches along the side. Making the game look good without having to tax hardware resources too much and aside from the visual display, the games control scheme definitely has a touch and drag mentality, making the card game perfect for devices with touch screens. Hearthstone is free to download, with optional in-app purchases. The download runs currently at 480MB and is compatible with iOS 5.0 and later. Be sure to leave your comments and thoughts below, we’d love to hear what you think about the future of HearthStone and mobile card games alike. You can also like our Facebook page, follow us on Twitter, and add us to your circles in Google+ to keep yourself up to date on all things mobile.